Career readiness. Campus options. Entry requirements. Student finance. 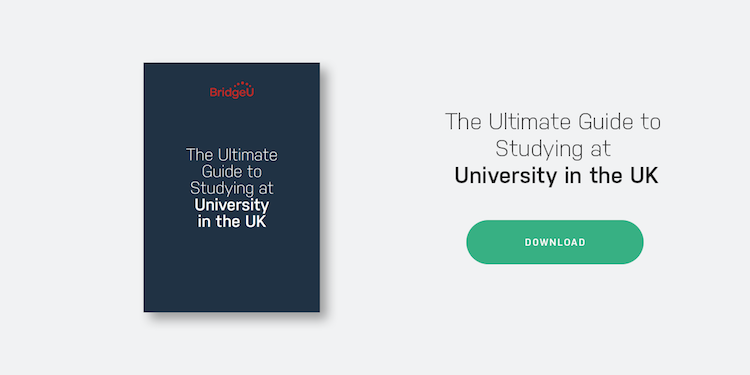 BridgeU's ultimate guide gives you everything you need to know to prepare students for their application to a UK university degree. Oxford. Cambridge. UCL. Durham. Edinburgh. These are just some of the prestigious names that might spring to mind when contemplating a degree at a UK university. A recent BridgeU survey confirmed that the UK is still one of the five most popular destinations for international students, and with good reason. The UK’s global reputation for higher education continues to be outstanding and this is reflected in its university rankings. For example, the UK currently has 3 universities in the global top 10, as well as over 30 universities in the top 200. A degree from a UK university is recognised by employers globally, and is one of the reasons why it continues to be a highly sought after destination for international students. The UK also boasts a diverse range of universities, offering both quiet campuses and bustling cities. But researching the UK university system can be a daunting process. For such a small country, the United Kingdom has a remarkably diverse range of university options, and choosing the right one isn’t an easy task. Also, as we’ve already discussed, these institutions are renowned globally, so it’s understandable for some students to feel intimidated. So how should they begin the process of researching, and applying to, a UK university? In this guide, we’ll discuss what career pathways a UK degree could unlock, explore the different types of university campus, help you to understand university entry requirements and give you the lowdown on student finance for a UK degree. Part 1: UK university degrees: what are the possible career pathways? Part 1: UK university degrees – what career paths are possible? Let’s begin with the most important consideration when choosing a university degree. Will this degree be relevant to the world of work? Is this a degree which looks good on a CV? Is this degree likely to provide a good starting salary as a graduate? Will this career equip students for new and emerging job markets? We’ve broken down UK university degree paths into four groups, in terms of the courses they offer, and the general career paths a student can expect. What are they? – These are arguably the degrees that could make a UK university graduate the most job-ready. UK training degrees include courses such as Medicine, Law, Engineering and Education. Before applying – An applicant to a UK training degree would need to think about whether this career path is right for them, as many UK training degrees are rigorous, and often last longer than other courses (e.g. Architecture and Medicine courses will last anywhere between six and eight years). What are they? – Science-based degrees can cover a whole range of science and engineering courses, and there are over 10,000 to choose from in the UK system. Some UK science degrees offer students a Masters qualification, pending the completion of a four year degree course. Employment prospects – The specialised skills and competencies which students gain from a science-based degree are in high demand from employers, and a science degree from an institution such as Imperial College London or the University of Manchester will look very impressive on a CV. Before applying – A UK-based science degree can be a good grounding for a range of different post-university career paths, so it’s okay if an applicant to a UK science course doesn’t know exactly what they want to do after they’ve graduated. However, those who do have an idea of what they want to do after university should think about which science degree might be a good pathway into their desired career. For example, a physics degree can lead to any number of career paths, in business, finance, IT or teaching, for those students still considering their options. However, if a student decides they want to be a sound engineer, then a physics degree would be a smart choice. What are they? – UK humanities and arts based degrees cover subjects such as English Literature, History, Politics, Psychology, Philosophy. Humanities and Arts based degrees at a UK university are often more research-focused and tend to offer fewer contact hours than science-based subjects. Employment prospects – When choosing an arts or humanities based degree in the UK, it’s important to consider the transferable skills a degree could offer future employers. Whilst humanities and arts degrees don’t automatically lead to a set career path, they help to foster valuable skills and competencies such as research, critical thinking, debating, writing and copyediting. Arts and humanities degrees can lead to careers in law, marketing, business, politics and media, to name a few. Before applying – Students applying to a humanities or social science based degree in the UK are more likely to do so because they have a personal passion for that subject – and that’s the most important reason to apply to any university degree! However, an applicant to a humanities/arts degree may want to think about any relevant work experience or internships between semesters which could boost their employability after university. What are they? – Vocational degrees can be similar to training degrees, in that they are a useful means of preparing for a certain type of work – however, they don’t constitute the only route into that career. UK vocational degrees can include Business Studies, Graphic Design and Law. For example, a vocational graphic design course could prepare a student for a career in this area. However, other art and design based degrees such as a Fine Art degree, or Industrial Design, are an equally valid pathway for someone wanting to be a graphic designer. Employment prospects – Employment prospects for vocational courses can vary depending on the course, subject area and university. However, since vocational courses are highly relevant to a particular career pathway, they are often a valuable route into a job after graduation. Before applying – Students need to think about whether their chosen vocational course is the best route into their preferred career path. It’s also worth bearing in mind that there are several different types of vocational degree on offer in the UK, so in-depth research is a must! That’s degree pathways covered. But what about the different types of UK degree? What degree qualifications do university offer, and how can they inform a student’s life after graduation? There are, broadly speaking, three main types of university degree on offer. This is the type of academic degree offered by most major universities in the academic system. Students will be awarded a bachelor’s degree with Honours, upon the completion of a three or four year course (although this will differ depending on the subject studied). Some common examples of Honours degree include a BA (Bachelor of Arts), a BSc (Bachelor of Science), a BEng (Bachelor of Engineering), and a LLB (Bachelor of Law). Single Honours: Courses wherein students study the same subject within the same faculty for the entirety of their course. Course lengths will vary, from two years anywhere up to six years for professional training degrees such as Architecture or Medicine. Joint Honours: A joint honours degree will allow a student to study two subjects, similar to the major/minor degree system at a US university. A joint honours degree would be something like “French with Business”, and a student may study both subjects 50/50, or place more emphasis on one subject over another. These degrees are typically training degrees of a less academic nature. They will often be a stepping stone to preparing for an honours degree. Again, these courses are at a lower level than honours degrees, but their successful completion will often lead to acceptance on a subsequent degree course. How is the Scottish university system different? If applying to a Scottish university (e.g. The University of Edinburgh, The University of Glasgow, The University of St Andrews), it’s important for students to remember that the Scottish system is slightly different to the rest of the UK. Scottish university degrees are four years in length, and offer undergraduates the chance to study a broader range of subjects before eventually specialising. The breadth of subject knowledge offered by Scottish universities is often highly prized by employers. University institutions in the UK differ widely in terms of their age, size and structure. For example, older collegiate universities such as Oxford, Cambridge and Durham are as much as 800 years old; meanwhile newer, former polytechnic universities were founded as recently as the mid-20th century. Different UK universities have distinct ‘personalities’ and this means that any given institution will suit some students more than others. The collegiate universities in the UK include Oxford, Cambridge and Durham. They are in the prestigious Russell Group of universities, and have strong academic reputations across all faculties and departments. 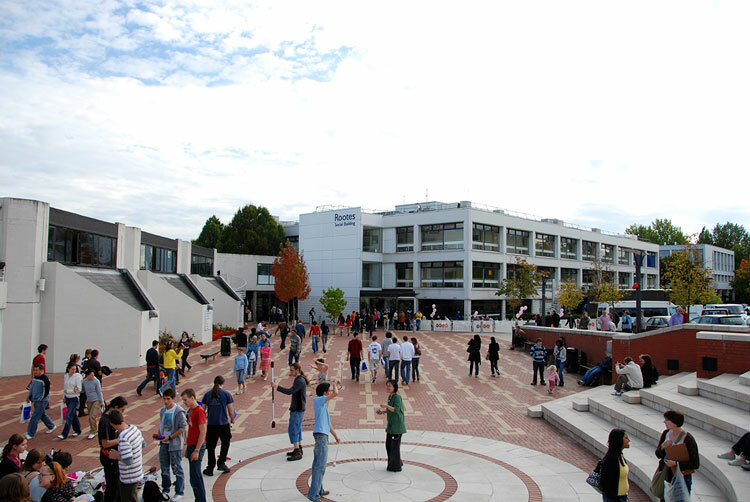 They are mainly situated in towns and smaller cities, and the universities are often an intrinsic part of city/town life. The term ‘collegiate’ refers to the fact that these universities are broken up into smaller colleges, in which students live and socialise. Different colleges have their own traditions and reputations, as well as their own distinct extra-curricular activities. Note: Students applying to Oxford or Cambridge may be asked to submit applications to, and be interviewed by, individual colleges at these universities. The term ‘red brick’ refers to a family of historic universities that are typically located in the major cities of the UK. These include Birmingham, Bristol, Cardiff, Leeds, Manchester and Southampton. Again, these universities are mostly in the Russell Group, which means that they have a prestigious reputation across all faculties and courses. For students applying to Red Brick universities, it’s worth deciding if city life is a good fit. These are more modern universities such as York, Warwick and Sussex. Many were only granted university status as recently as the 1960s, but several are now highly ranked within the Russell Group of universities. The term ‘plate-glass’ was given to these universities due to their more modern architectural design. Many of these universities are located on self-contained campuses outside of major towns and cities. This remote setting may be ideal for some students – however it could be isolating for those craving a busy, bustling city environment. New universities are typically institutions which were once classed as polytechnics (institutions focused mainly on vocational study). 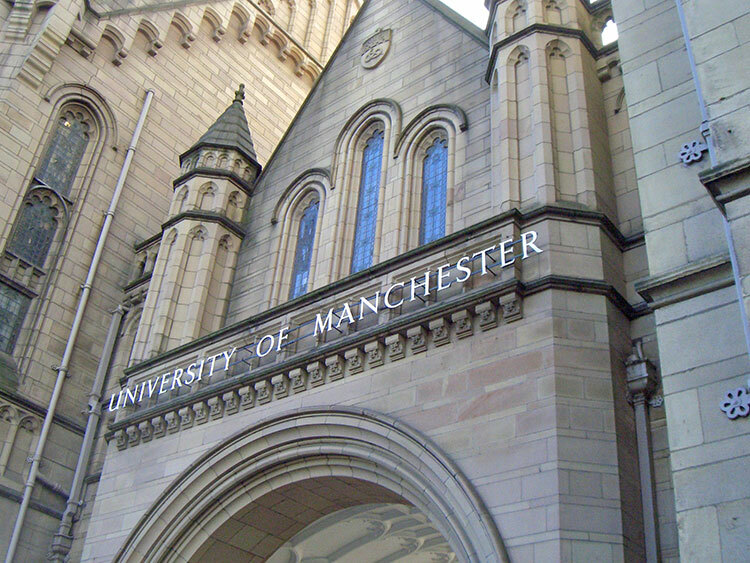 They are often located in the same city as older, more established universities (for example, Manchester Metropolitan neighbours the University of Manchester; Oxford Brookes neighbours Oxford University). These universities can be attractive destinations for students looking to really specialise in a particular degree discipline, and can be strong options to consider for vocational study. Degree classification – the percentage of 1st and 2:1s as a percentage of all degrees awarded. The percentage of graduates entering full time employment. League table rankings are not limited to these factors. However, these are arguably the most significant criteria that most students will look at when beginning the university application process. Some universities, especially those within the prestigious Russell Group, offer an excellent quality of education all across the board. League tables are a useful way of identifying and researching these universities. But remember – league tables aren’t everything. 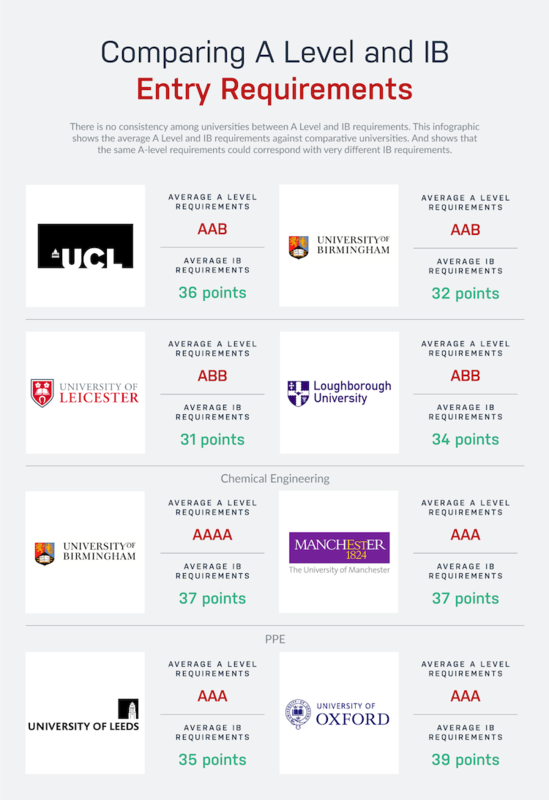 It’s tempting to measure the quality of a university solely by its league table ranking. But in an increasingly diverse and international higher education market, a student’s suitability for a particular course or university is much more complex, and choosing the right UK university destination is about so much more than league tables. Here are a few reasons why league tables should be treated with caution. Depending on the league table you choose to look at, emphasis is placed on different criteria. For example, Shanghai Ranking chooses to emphasise a university’s research score, whilst the Times Higher Education league table tends to place high value on quality of teaching. University league tables are signposts, not road-maps. A university’s ranking is no guarantee of a positive university experience overall, or a lucrative career after graduation. Remember – a person’s suitability for a university is ultimately a question of what they want to achieve from their chosen course, if it can help them reach their career aspirations, and if they enjoy the university’s campus and culture. In short, the best university experience ultimately comes down to personal preference. The answer to this question will, understandably, inform the final year of a student’s time at secondary school, as their exam, coursework and essay grades will have a direct impact on any university application. Pressure is high. For students applying to the UK, most courses will specify minimum entry requirements – i.e. the grades an applicant would have to achieve to gain entry to the course. Many UK students will apply to university with their predicted grades, which are a major influence on their chance of being accepted. The popularity of the course – this will influence the level of competition for places. What grades yours will be compared to – i.e. the overall academic ability of other applicants. How flexible the university will be if you don’t achieve/possess the required grades. Take a look at the infographic below. This highlights how entry requirements at multiple universities can be very different. This could be due to the ranking of the university, or it could be based on the overall demand for places/the popularity of the course. UCAS points are another common means which UK universities use when making offers to applicants. The UCAS points system can be used to convert A-level grades into an overall mark – for example, two A grades and a B grade add up to 136 UCAS points in the current system. Note – for more information on the UCAS points system, and how they relate to UK university entry requirements, check out the UCAS tariff calculator. For IB students, universities will generally ask for an overall IB score, but they might also have specific requirements for certain subjects taken at Higher Level, or the grades a student has achieved at Higher Level. For students applying with BTECs, eligibility will depend on which diploma they are applying with (e.g. 90 Credit Diploma, Subsidiary Diploma, National Diploma or Extended Diploma). Some universities allow students to combine A-levels with BTECs, or may allow the two qualifications to be used interchangeably. Universities will normally ask for BTEC qualifications at a certain level – e.g. DDD = Distinction, Distinction, Distinction; DDM = Distinction, Distinction, Merit. Students should check an individual university’s BTEC requirements if applying with this qualification. Again, universities might ask for a set of scores e.g, D1, D2, or may require a student to have attained a certain grade in a certain subject (e.g. D2 in French). Once again, it’s worth checking specific course entry requirements. Remember that universities with the same entry requirements may have very different offer rates, and a student’s grades aren’t the only guarantee of acceptance. Offer rates can depend on the competitiveness of the course and how highly ranked it is. For example, Law at Oxford asks students for 3As at A-level, but has a 9% offer rate, whilst Economics and Geography at Leeds also asks for 3As, but reports a 94% offer rate. So your students know what they want to study, they know where they want to study, they may have some idea as to their ambitions and aspirations. The Next Big Question: how will they pay for it? Financing a degree is often the biggest concern for most students as they begin to consider university applications. But help is at hand in the form of a range of student loans, grants and bursaries. Applicants to the UK should be aware that universities also charge different tuition fee rates for international students, compared to students coming from the UK or mainland Europe. Tuition fees and student finance for UK and EU students have undergone several changes in the past ten years. Most notably, UK universities have been allowed to increase average tuition fees to a maximum of £9,250. Different universities may charge different amounts, so it’s important to research the tuition fees for a specific institution. Both UK students and applicants from EU countries are eligible for a number of different bursaries, grants and loans. These are loans which students can use to cover the cost of their tuition fees. These loans are paid directly to a student’s chosen university. Students starting university in the 2019/20 academic year will only repay this money when they start earning over £25,000 after graduating. Maintenance loans are designed to help students with any living costs while studying at university. A student’s maintenance loan entitlement will depend on their household income. Loan amounts are also higher for students choosing to apply to a university in London. Those students who wish to study in England can only claim the maintenance loan. But for those applying in Scotland, Wales or Northern Ireland, student finance works slightly differently. Scotland – students can apply for a combination of a bursary (which doesn’t have to be paid back) and a maintenance loan. Wales – students receive either a maintenance grant or a loan, depending on their family income. 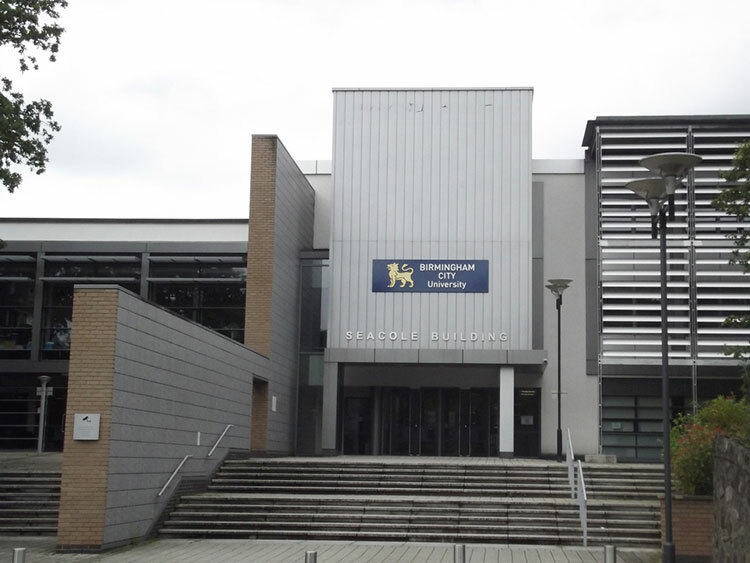 Northern Ireland – as well as the standard loan, students applying to university in Northern Ireland are entitled to a maintenance grant. Northern Irish applicants can also apply for a Special Support grant, which is offered to students who are single parents, or who may have a disability or learning difficulty. The student must be living in the UK on the first day of their course. They must be employed in the UK. Either the student, or a member of their family, has been an EEA/Swiss national for three years prior to starting a UK university degree. In the 2018/19 academic year, undergraduate courses started at £10,000 for a lecture-based degree. Training based degrees such as dentistry, medicine and veterinary medicine charged up to £42,000. Whilst international students don’t have access to the same sources of funding as UK/EU applicants, there are still a number of different options for financing a UK degree course. There are a number of loans on offer for international students. For example, US students looking to study on a degree abroad can employ for a Foreign Enrolled Loan. Individual countries will have their own loan schemes for their international students, so research is essential. University specific scholarships – individual universities will offer financial aid to international students for certain courses. Country-specific scholarships – international students from certain countries are eligible for select undergraduate and postgraduate scholarships. Global scholarships – international student scholarships which are not tied to any particular origin country or university destination. These are often very competitive. Many international students finance university study with the help of family members, and this is a conversation worth having before embarking on a university application. For international students looking for more information about financial aid for studying in the UK, it’s worth doing further research through the following websites and organisations. Personal information and relevant contact details. The Personal Statement – this is integral to a UK university application, as it’s a student’s chance to explain why they want to do a specific course, and their aspirations for their future. Teachers and guidance counselors will also have an integral role in the UCAS process, whether it’s helping students to craft a compelling personal narrative for their Personal Statement, or writing that crucial school reference for university admissions departments. Applying to a UK university isn’t an easy process. Researching and shortlisting the diverse range of courses, campuses and degree pathways is a complex and time-consuming task. Here are some final tips to share with your students as they begin the UK university application process. Research degree courses and degree types carefully – what skill sets and subject interests do you want to explore further in a university setting? Treat league tables with caution – they’re not always a guarantee of a university’s compatibility with your professional goals or personal strengths. Be honest and realistic about eligibility and chance of acceptance. Don’t be intimidated by the cost of university – there are many forms of financial aid to help students cover the cost of undergraduate study. Think carefully about what you want from studying in the UK, and why it’s the right path for you. If you’re a teacher or counselor with students looking to apply to a UK university, why not download our free resource pack, with seven tailored lesson plans to help students research and understand the UK university system.